Play Book of Dead Slot Online! - ▶️ Win up to 250,000 coins! Join Rich Wilde, the famous tomb raider and explorer, on his adventure to ancient Egypt in this captivating and riveting slot. Book of Dead, or by its full name: Rich Wilde and The Book of Dead, will have you reeling for more as you search for artifacts and collect payouts. Book of Dead comes from the creative minds of Play ‘n GO, who are world renowned for their entertaining and cutting-edge slots, with high-definition animation, soundtracks, and innovative features. Let’s take a closer look at what this slot has to offer. Book of Dead has a fairly simple layout with its 5-reels, 3 rows and 10 paylines. As you venture into the tomb with Rich Wilde, the backdrop with the grand pillars and icons certainly let you know you’re in the right place. Game play is really easy, with the option to select the number of lines and coins per bet line. This slot is available for both desktop and mobile play. Book of Dead has 11 different symbols. The lower paying symbols include the familiar playing card symbols of 10s through to the Ace. The picture symbols are the higher paying ones and are exactly the ones you want to land on your reels while playing. These include Osiris, Anubis, Horus and the top paying symbol being Rich Wilde himself. If you are fortunate enough to get 5x Rich Wilde symbols on the same payline, you can expect a heart-stopping payout of 5000x your bet amount, up to a whopping 250,000 coins if you’re playing max bet. Besides Rich Wilde, the other crucial symbol you really want to see often while playing is the Golden Book, which acts as both a wild and as a scatter. As a scatter, if you get 3 book symbols anywhere on the reels, it pays 2x your total bet amount; 4 book symbols pay 20x; and if lady luck blesses you with 5 books symbols, then get ready for a healthy 200x payout. Scatter wins are added to any payline wins, plus, anytime you get 3 or more book symbols, it also triggers the free spins feature. Book of Dead unfortunately doesn’t boast a separate bonus feature and is limited only to the Free Spins feature. Obtaining 3 or more Books anywhere on the reels awards 10 free spins. There is a slight twist to the free spins feature, in that before the free spins begin, one of the symbols is chosen at random to act as an expanding symbol to help you win even more. What this means is that during the Free Spins feature, when the pre-selected symbol appears on a reel, it will expand over the whole reel, thereby possibly creating more winning combinations. Another notable feature is that you can win an additional 10 free spins if you get 3 or more Books during the free spins rounds; again giving you even more winning potential. Book of Dead does not offer a dedicated jackpot, nor is it linked to any type of progressive jackpot. The top payout or standard jackpot is 5000x the total stake, up to 250,000 coins and is achieved by getting 5 Rich Wilde symbols on a single payline. 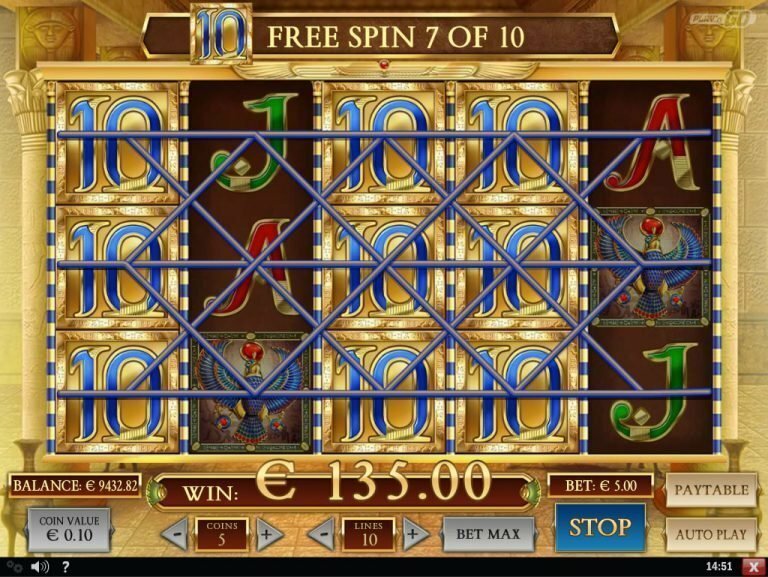 This slot is very basic with its 10 paylines in comparison to other slots that have literally hundreds of paylines. While more paylines doesn’t guarantee more winnings, probably one of the benefits of only 10 paylines is that you don’t need to be a mathematical prodigy to see the combinations and to track your play. This fantastic slot may have a slightly lower RTP (Return to Player) of 96.6% than some other slots, but this is rather negligible. Making up for the lower RTP, Book of Dead offers some high payouts, especially the jackpot of 250,000 coins. The volatility of this video slot is high, so you may not see payouts as often as you would like. But, once again, the bigger payouts on the higher paying symbols, free spins and the scatters make up for the volatility and makes this slot an excellent choice for taking home some healthy wins. Book of Dead is well made; the graphics, sounds and animation are top notch as can be expected from Play ‘n GO. 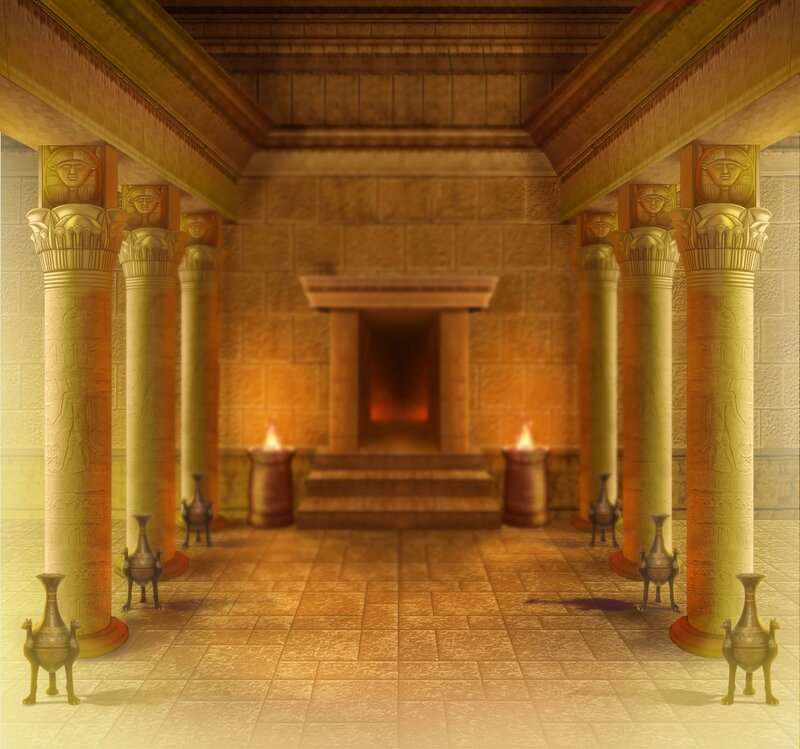 The concept and theme of the slot certainly are nothing new, with many other video slots out there having similar ‘Egyptian’ / ‘tomb raiding’ storylines. The simplicity of the paylines and the free spins feature with no special or dedicated bonus feature might not be to the liking of all slots players. However, for many players, this video slot might be just what they want and enjoy. Overall, Rich Wilde and The Book of Dead Slot is a fun, captivating slot that has some great payouts and will keep you well entertained.